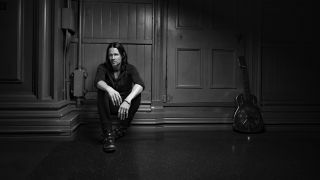 Myles Kennedy has revealed the tracklist and cover art of his upcoming debut solo album Year Of the Tiger. It was previously announced that the Alter Bridge and Slash vocalist would release his album in 2018 – and it’s now been confirmed that it’ll arrive on March 9, via Napalm Records. Year Of The Tiger is now available for pre-order in a variety of packages, including gold vinyl and a deluxe wooden box set. Find the cover art and tracklist below. Classic Rock Magazine's Ultimate Review of 2017 - on sale now!